It's a very interesting feng Shui book. This work abounds with descriptions and images relating to the feng shui of the landscape and the form school. The author also does an introduction to the Xuan Kong Fei Xing school. This is a complete guide to go into the science and art of the "wind and water"
"A Master Course in feng shui". 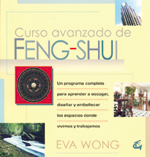 This book is recommended for all feng shui students. The author leaves us plenty of examples of case studies that are a sourse of learning and experience for the feng shui lover. Lam Kan Chuen has written a nicely illustrated guide to the science of feng shui. The book clearly explains a lot of concepts such as the movement of qi or Chi in space. It is highly recommended book to learn the basics of the form school. "The Personal Feng Shui Manual". The author introduces us to one of the schools that uses the compass, specifically to the east / west theory. It reviews elementary Chinese astrology, it also presents ideas on the 5 celestial animals and applying them to different situations. 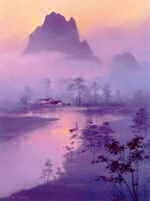 "The Science of Sacred Landscape in Old China". It is a reflective book on the art of feng shui viewed from a Western mind, in particular by a Christian priest. The book is a classic in its field. 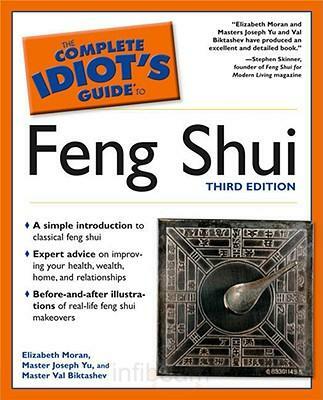 "The complete Idiot's Guide to Feng Shui". A clear and enjoyable guide to learn sevaral important concepts of classical Feng Shui. The guide includes lessons on form school, Ba Zhai, the Xuan Kong Fei Xing compass system and chapters dedicated to Chinese astrology. Nota: Si deseas adquirir alguno de los libros sugeridos y te resulta difícil hacerlo en tu localidad aqui tienes un enlace a la tienda amazon.